Find targets faster. Static detection target recovery. Audible, vibrating alarms and led alarms increase in intensity based on target's proximity! Automatically adjusts...Microprocessor circuitry insures maximum sensitivity with no tuning necessary. Pinpointing Tip and 360 degree side scanning capability in one pinpointer. 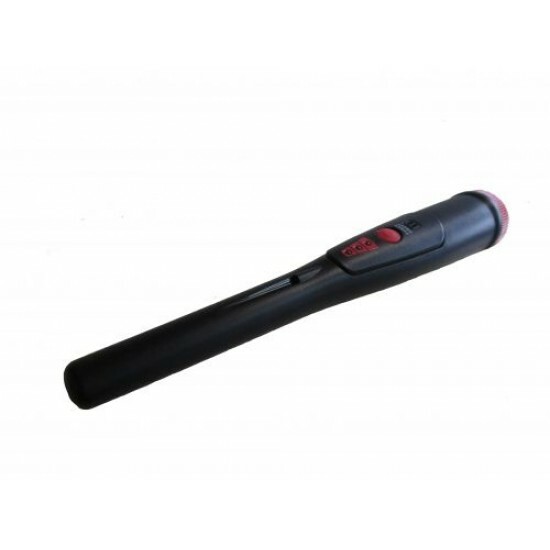 Owner's manual offers easy tips on special pinpointing abilities of this incredible detector. LED flashlight assists in low light condition recoveries. Utility uses...Search walls and tight spaces for caches...find metal pipes in walls or nails in drywall to locate studs...check wood for nails before cutting with expensive tools.